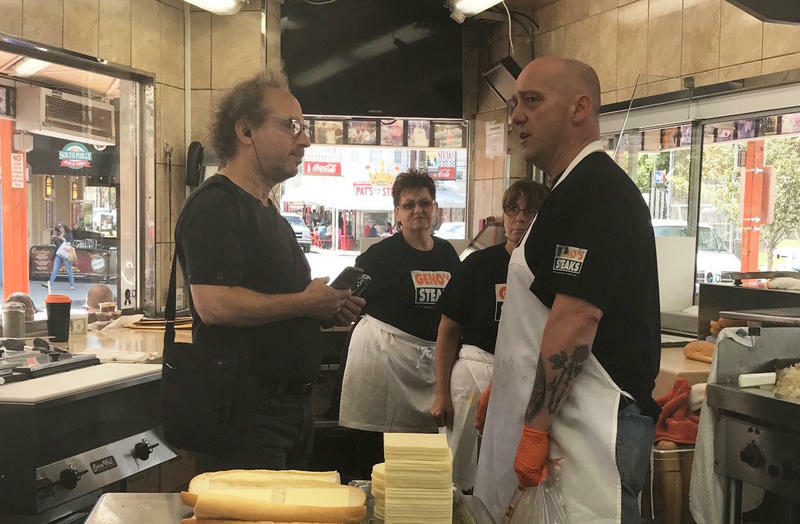 Composer Tod Machover collecting sound from Geno's Steaks for his Philadelphia Orchestra commission. He also recorded sound at Pat's King of Steaks. In November of 2017, WRTI's Susan Lewis talked to composer Tod Machover about involving the residents of Philadelphia in the composition of his new work for The Philadelphia Orchestra. Steak sizzling on a grill at Pat's King of Steaks. A chorus of birdsong at the Philadelphia Zoo. These are just a few of the hundreds of sounds composer Tod Machover collected from people who live here for a unique musical profile being performed by The Philadelphia Orchestra on April 5, 6, and 7 at the Kimmel Center in Philadelphia. Tod Machover spent about a year visiting the city, collecting sounds for his work, Philadelphia Voices. He worked with high school students and other local writers to create a libretto for what became a seven movement work that involves four choral groups, large orchestra with organ, electronic sounds from laptop and stereo audio, and recorded voices of Philadelphia. 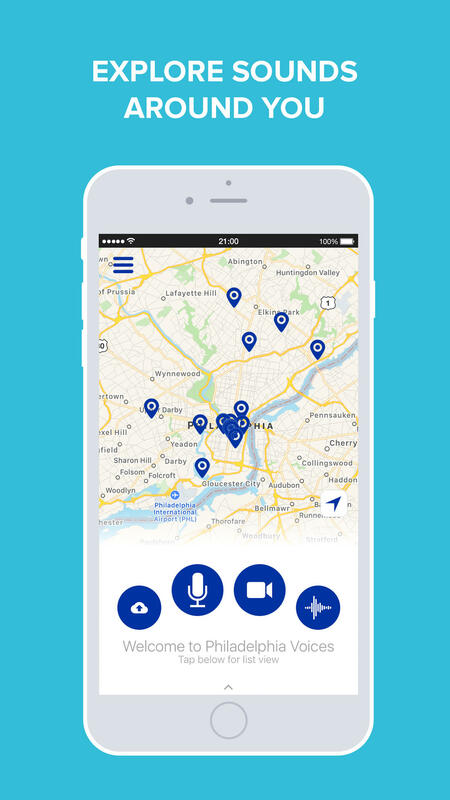 The "Philadelphia Voices" App on your mobile device was one way to participate. The work was commissioned by The Philadelphia Orchestra. At the suggestion of Orchestra Music Director Yannick Nézet-Séguin, the human voice is a focus. Because Philadelphia is the birthplace of our nation, the work also explores the idea of democracy and what it means to residents today. And because Machover discovered poetry in the writings of students and others, the work evolved to a contemporary oratorio-like composition, with a poetic text set to music, layered with recorded voices and sounds of the city. "The idea," said Machover as he was in the midst of collecting sounds, "is to create a piece that expresses something about Philadelphia that does indeed use orchestral kind of normal musical material, sounds from the city, in this case, as many voices from the city as possible. What made his Philadelphia project distinctive was his call to people to participate in the process of deciding what this piece should be, and deciding what story to tell. It's important [to Machover] that the music conveys the human aspects of this city of neighborhoods, and also taps into people's civic sense. Machover wanted to create a forum for expression, "for people to feel something about what’s at stake in terms of democracy, and the society we’ve inherited. We can’t take anything for granted. It takes courage and conviction to build what’s coming next." And so referencing everything from SEPTA to hair salons to historic sites and block parties, Philadelphia Voices explores ideas important to Philadelphians. Choral voices sing out about what matters, including democratic ideals, race relations, concerns about 'what is' and dreams of what can be. Machover, the son of a pianist and computer scientist, studied at Juilliard and was director of musical research at Pierre Boulez's IRCAM, the science institute about music and sound in Paris. Now a professor of music and media at MIT, he has composed for orchestras all over the world. His recent collaborative pieces have included profiles of Toronto and Detroit. More about the project.